Konrad Partners was founded when Christian Konrad left Freshfields Bruckhaus Deringer’s Vienna office to open his own boutique in 2009. Konrad’s practice has an emphasis on engineering, construction and energy infrastructure cases, as well as public international law. He sits as an arbitrator and is a member of the panels of various arbitral institutions in the Czech Republic, Malaysia, Indonesia, Iceland and the Netherlands. He’s also a co-founder of the Young Austrian Arbitration Practitioners group and an academic adviser for a specialised LLM in dispute resolution at Austria’s Danube University. The firm has 35 lawyers on staff, including technology disputes specialist Philipp Peters, who joined as partner in 2012. Manfred Heider, a former secretary general of the Vienna International Arbitration Centre, joined the firm as special counsel in early 2018. Since its founding in Vienna, it has opened additional offices in London, Prague, Bratislava and Skopje, and has a particularly strong practice in Central, South and Eastern Europe. The firm doesn’t identify clients, but says it has lately advised companies from the steam and hydraulic power generation, natural gas, real estate and steel piping industries at the ICC and VIAC. It was also involved in a high-profile Court of Arbitration for Sport case in 2012, acting for Austrian tennis player Daniel Köllerer. It successfully defended an Austrian construction and engineering company in an arbitration under the Vienna Rules arising out of a refurbishment project in South Africa. In another case, it helped the owners of a pharmaceuticals company prevail in a US$255 million post-M&A dispute under Austrian law. The firm represented the former directors of a large real estate development company in the High Court in London in a case valued at €2 billion. Manfred Heider joined the firm as special counsel after nearly two decades at VIAC. He has been called the “face” of that institution, where he oversaw two sets of revisions to its rules and had a hand in a major reform to Austrian arbitration law. Konrad Partners promoted its first counsel, Martin Hackl, who is acting in six arbitrations against state entities in Eastern Europe. Christian Konrad is acting as exclusive adviser to Macedonia’s ministry of justice in connection with the implementation of a country-wide alternative dispute resolution programme. The firm says it is acting in several ICC cases, including for an electric machine manufacturer and the affiliates of a leading supplier of hydraulic power generators in two separate disputes against state-owned companies. It also reports victories for an international real estate development company in a VIAC case over a share purchase agreement and for an engineering company in a multiparty ICC dispute over an industrial plant. Franziska Mensdorff-Pouilly and Heidrun Halbartschlager have been promoted to Counsel in July 2018. A client that has used the firm for disputes over projects in Romania and Hungary says the team is “truly outstanding”. Partner Philipp Peters “combines deep understanding of arbitration, the ability to familiarise himself with foreign law and technical issues, and quick thinking.” Counsels Martin Hackl and Heidrun Halbartschlager are also rising stars. 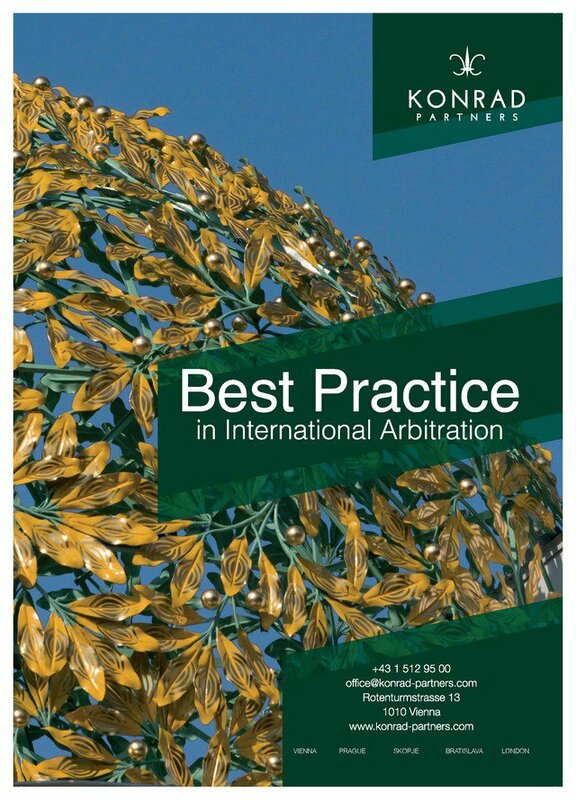 Konrad Partners is a specialized international law firm delivering premier legal services in all areas of international dispute resolution, with a particular focus on arbitration and investment protection. The firm maintains offices in Vienna, Prague, Bratislava, Skopje, and London.